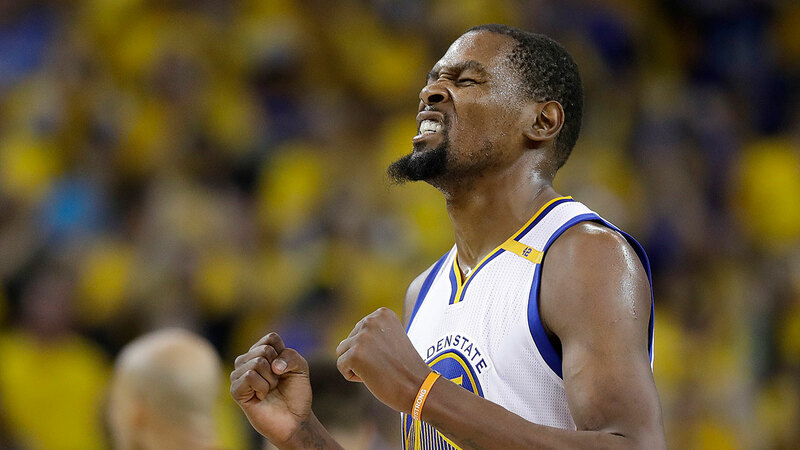 OAKLAND, Calif. -- Kevin Durant capped his spectacular first season with the Warriors by bringing home that coveted NBA championship he joined Golden State last July so determined to get, scoring 39 points in a fast-and-furious, Finals-clinching 129-120 victory over LeBron James and the Cleveland Cavaliers on Monday night. "It's just a great group of guys, great community, great arena, great fans," Durant said. "I'm just so happy to be a part of it. I can't wait to celebrate with my teammates in the locker room." A year ago, these Warriors fell short after a record-setting season that included a 24-0 start and 73 victories at the end to break the 1995-96 Chicago Bulls' wins.